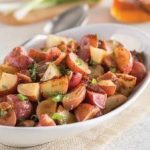 Grilled Potato Salad with Honey Chipotle Vinaigrette: Wednesday’s BUZZworthy Recipe – Southwest Honey Co. While the potatoes cool, preheat a gas or charcoal grill. 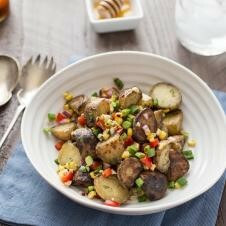 Place the room temperature potatoes in a grill skillet or grill basket. 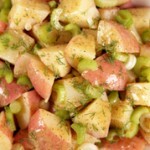 Drizzle 1 tablespoon of the olive oil over the potatoes and season with a pinch of salt and pepper. Place the potatoes and corn on the grill. Grill the potatoes, stirring occasionally, until they become fork tender and begin to form a crispy char on the outside, about 5-7 minutes. Grill the corn, turning every few minutes, until the kernals become slightly charred on all sides, about 5-7 minutes. Remove from the grill and allow the corn to cook long enough to handle. Remove the kernals from the cob. Place the potatoes and the corn in a large bowl. Add the remaining salad ingredients. Gently fold to combine. 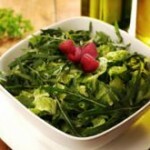 If you’re serving the salad immediately, add the dressing and fold to combine. Season with salt and pepper to taste. 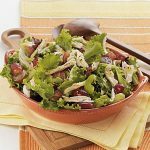 If you’re making the salad ahead of time, transfer the potato mixture to an airtight container and place in the refrigerator to chill. 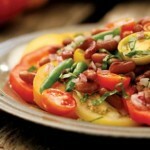 Remove the salad 1-2 hours before serving to allow the salad to come to room temperature. Fold in the dressing and season with salt and pepper to taste. To make the dressing: Add all of the ingredients to a mason jar. Screw on the lid and shake vigorously to combine. Season with salt and pepper. 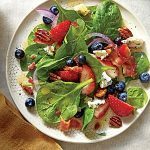 This entry was posted in Recipes and tagged chipotle, grilled, honey, potato, recipe, salad, vinaigrette. Bookmark the permalink.